Islam (also known as Muslim) is the most popular religion in the world, with 1.8 billion followers. They worship in a mosque and their God is known as Allah. There are two different denominations of Islam: Sunni and Shi’a. They each believed that a different person should have lead Islam after Muhammad, the last prophet, died. If you have been or are planning to go to a mainly Muslim country, such as Turkey and are near a mosque, you will probably hear a person calling out in Arabic. This is the call-to-prayer, which is why mosques have large towers. Different denominations of Islam pray different amounts each day. Shi’a Muslims, who make up about 15-20% of the Muslim population, pray three times a day whilst Sunni Muslims, who makeup 80% of the religion, pray five times a day. 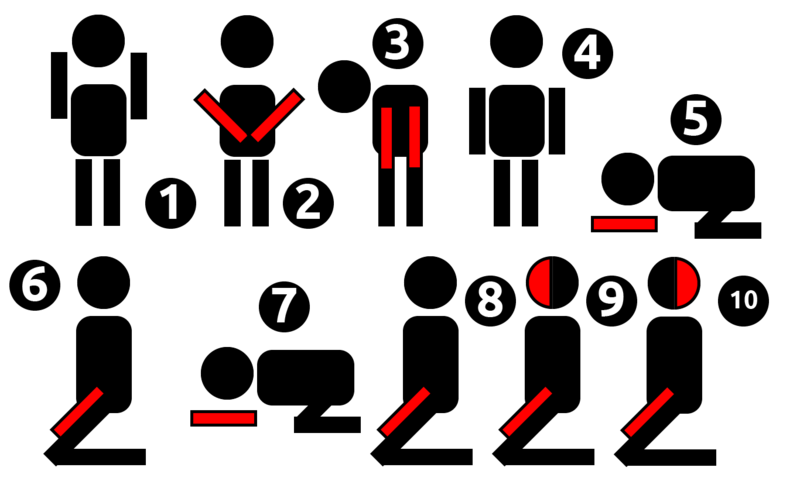 2 – 3. 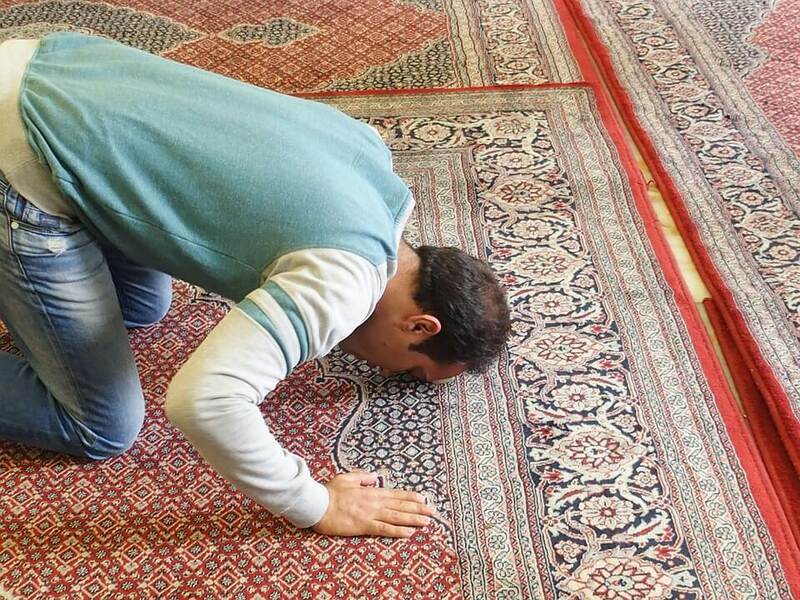 While bowing, Muslims say “Glory be to my Lord who is the very greatest” (in Arabic) 3 times. The bowing position shows that they believe God is great. 4. Returning to an upright position, they make a recitation praising God. 9 – 10. Muslims then sit whilst reciting “God is the greatest” and after pausing for a few seconds, prostrate themselves once more whilst repeating “God is the greatest” whilst turning their heads left and right. Once a year (round about mid-May to mid-June, but it varies year by year) Muslims fast (go without food or water) for a month during the daytime, meaning that they cannot eat or drink from when the sun rises until when the sun sets.